AS Pest Control provide an efficient, affordable and professional bed bug control service in Mansfield. Available 24/7 we offer a quick and reliable service to conveniently remove the bed bug problem. In most bed bug infestations the bed bugs will not be seen. The only evidence would be the bites, these will be all you will feel or see. The bed bug will have crawled back home by the time you notice. Bed bugs bite at night, the bite marks will depend on how the person reacts to being bitten. Bites are usually on areas of the body that stick out of the bed covers. Bed bugs are visible to the eye being large enough to be seen without magnification growing up to 1/4 inch long. Bedbug infestations may have spread from adjoining buildings, from furniture or a suitcase that has recently been brought into the house. The bed bugs feed entirely on human blood when the victim is asleep at night. After feeding they return back to hiding places in cracks and crevices in furniture, behind wall paper, bed frames, cupboards, curtains, light fittings etc. Contact AS Pest Control and we can provide a free onsite bed bug control Mansfield quotation. Bed bugs are one of the most difficult insects to treat with treatment only working if the preparation has been done correctly. Bed sheets and curtains must be removed and washed, the room to be treated must be vacuumed and cleaned. Drawers and wardrobes must be emptied and the clothes washed before they are brought back into the room. The room must be cleared of all objects. These need to be washed, tumble dried or sprayed with insecticide. If this is not possible objects should be put in a freezer overnight. Be careful not to put any objects into other rooms to help prevent the infestation spreading. Bed bugs usually only infest rooms that are slept in, it is advisable to treat any adjoining bedrooms to the infested room. Bed bugs can lay dormant for up to 12 months so be careful with any objects removed and then re-introduced within this time frame. If you are replacing a bed or mattress either do this prior to treatment or once you are confident treatment has eradicated all the bed bugs. AS Pest Control provide Bed Bug Control in Mansfield starting from only £100. AS Pest Control will always perform a thorough inspection to determine the extent and source of the bed bug infestation and use the most appropriate treatment for each case. Using insecticidal spray, walls, ceilings, beds, mattresses, furniture and surrounding areas/bedrooms are treated. All areas where the bed bugs are expected to crawl as well as their harborages will be treated. After treatment make sure any pets do not walk on treated surfaces until dry. If bare skin comes into contact with the treatment whilst it is wet ensure it is washed. Do not vacuum treated areas for at least 2 weeks, if the room(s) are not kept hot and dry it is advised to leave this longer. Do not wash any treated surfaces for at least 2 months as this will break down the insecticide and make it less effective. Keep the room(s) warm and reduce humidity. 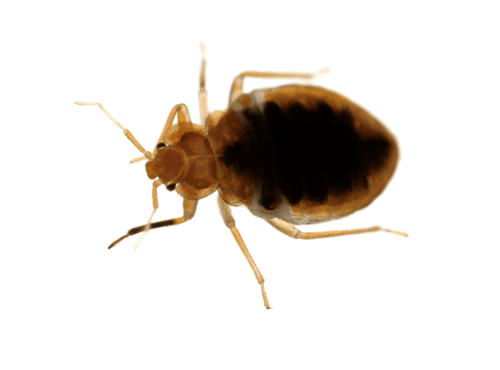 Make sure the room(s) are occupied at night to encourage the bed bugs to crawl over the treated surfaces. Be prepared to see some bed bugs for at least 2 weeks after treatment. After this time if you still see more bed bugs another treatment may be required. AS Pest Control provide a local, affordable Bed Bug control solutions for residential and commercial customers in Mansfield, Nottingham, Derby, Chesterfield, Worksop and surrounding areas.